If you are having issues opening and closing the garage door, there is a good chance that the problem you are experiencing is related to a damaged garage door track. We specialize not only in track repair, but in all garage door repairs. Our goal is to get your garage door back in working condition. Garage door tracks are an important component of your garage door. It causes the door to open and close the door smoothly while providing balance. If you have a garage door that is noisy and not operating smoothly, contact us now to get a free estimate. Our repair technicians are experienced and are very capable of repairing your garage door on our first visit. Garage door tracks can bend, causing the garage door to not operate normally. Even if the track becomes misaligned, not fixing the problem right away can cause other parts of your garage door to malfunction and need repair. There is no need to overpay for garage door repair services. We are a local family business who is dedicated to serving our community. We take pride in offering top notch, affordable services to residents in Phoenix and surrounding areas. Check out our current garage door repair savings and save on your next repair. 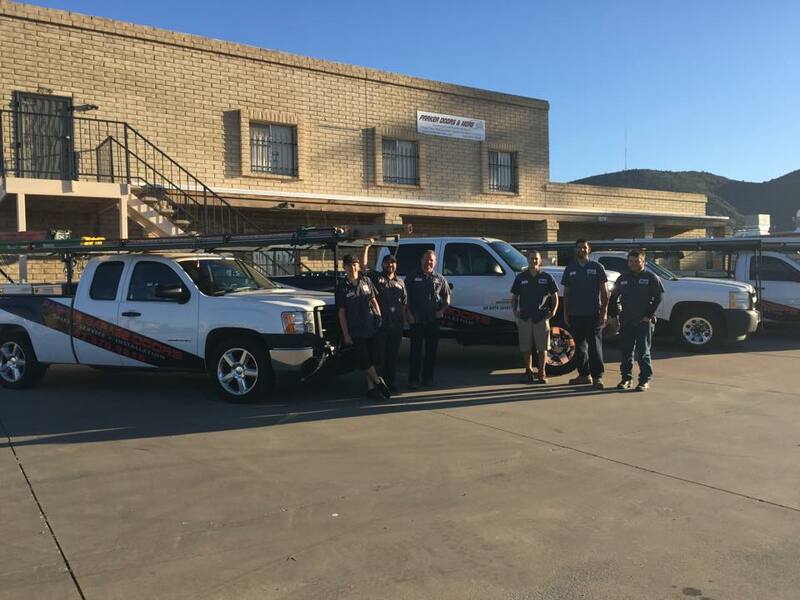 Parker Garage Doors has two locations, in Phoenix and Lake Havasu City. This allows us to offer service all throughout the valley. If you are in need of a free estimate or professional advise, contact us at Parker Garage Doors. We are happy to offer same day service appointments and emergency repairs. Whether you need cable repairs or your garage door is off track, give us a call. It does not matter if you are in need of garage door track repair or any other kind of repair, our trained professional technicians offer affordable and cost effective solutions. 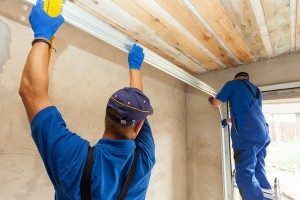 Most companies in the valley might suggest a temporary fix or a quick fix that will only last for a few months and end up costing you more money in the ling run. We will never compromise the quality of our work by offering a temporary or short term solution. We offer emergency garage door repair services and are available 24 hours a day, 7 days a week. Call (602) 870-9848 if you are in need of garage door repair services. We will answer anytime you call!